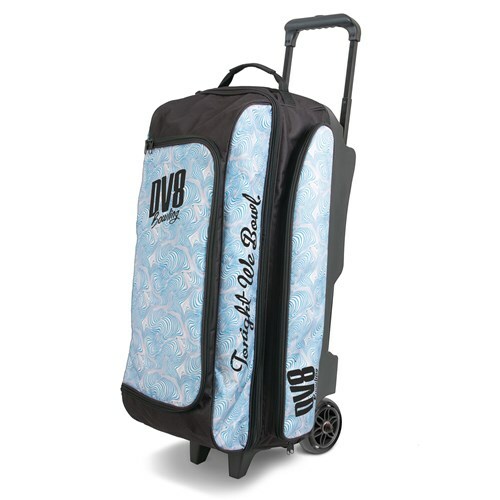 The dimensions of this DV8 Triple roller Blue Swirl is 15.25 from wheel base to top of bag. When handled extended it is 41.25' and with retracted it is 30.25. Due to the time it takes to produce the DV8 Freestyle Triple Roller Blue Swirl ball it will ship in immediately. We cannot ship this ball outside the United States.